The brain consists of material that generally is classified as either gray matter or white matter. Gray matter primarily consists of nerve cells, while white matter is mostly made of axons that transmit signals. The UC Davis Health System has a helpful way of understanding the difference. It suggests we use a computer analogy and imagine that the gray matter is the actual computer, while white matter is the cables that connect the computer to other devices. Research studies have found a correlation between people who have dementia and reduced gray matter volume in the brain. In people with Alzheimer's disease, the hippocampus, in particular, is noted to experience atrophy. One study compared the volume of gray matter in the brains of participants with Alzheimer's disease to those with Lewy body dementia. They found that, while gray matter was reduced in Lewy body dementia when compared to cognitively normal people, it was significantly less reduced when compared to those with Alzheimer's disease. Can You Change the Volume of Gray Matter in Your Brain? 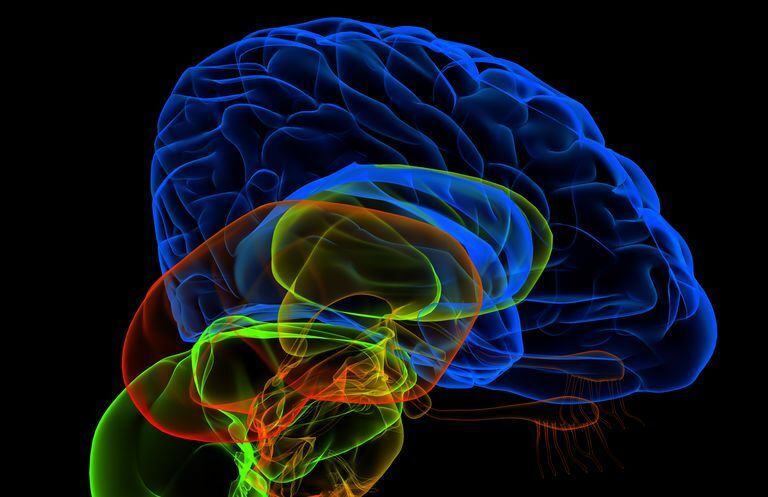 Several interesting studies have been conducted on the amount of gray matter in your brain. One showed a correlation between speaking more than one language and a higher amount of gray matter in the brain. This seems to reinforce previous research findings that demonstrate a protective benefit against the symptoms of Alzheimer's in people who are multi-lingual. A second study concluded that higher levels of physical activity and cardiovascular fitness levels were correlated with increases in volume of gray matter in the brain. A third study noted an increase in the density of gray matter in people who participated once a week in eight sessions of mindfulness meditation trainings. While the number of participants was small at 17, the resulting increase in gray matter thickness was significant. American Journal of Neuroradiology. 2001 22: 1680-1685. Cerebral Cortex. (2015). First published online: July 16, 2015. Neuroanatomical Evidence in Support of the Bilingual Advantage Theory. International Psychogeriatrics, 2012 Apr;24(4):532-40. Patterns of gray matter atrophy in dementia with Lewy bodies: a voxel-based morphometry study. Neurobiology of Aging. Volume 35, Supplement 2, September 2014, Pages S20–S28. Physical activity, fitness, and gray matter volume. Psychiatry Res. 2011 Jan 30; 191(1): 36–43. Mindfulness practice leads to increases in regional brain gray matter density. UC Davis Health System. Department of Neurology. White matter matters. US National Library of Medicine. Gray and white matter of the brain. February 24, 2014.